Come Be A Part Of The Storm Family! Come be a part of our AMAZING cheer and dance family! Nor'Eastern Storm All-Stars is a well established competitive cheer program, offering teams for ages 4-18 of all abilities and skill levels. 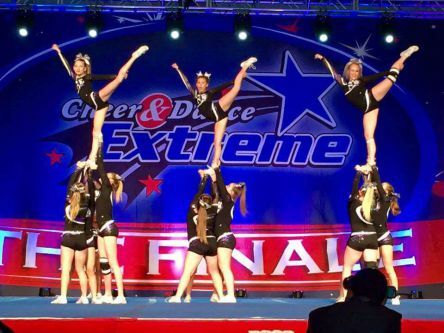 We offer Full Year Elite and Prep Teams as well as Travel teams and Our National Champion Cheer Abilities Team. STORM is a fun, safe and family oriented training enviroment. All teams are coached by USASF credentialed coaches, who truly believe in putting the athletes first.